Take a look into what makes Brushcreek Motorsports Complex a special community in the summer. To find a rural racecar track at night, you can either look for the glow of industrial floodlights or listen for the low decibel rumble of high performance engines. 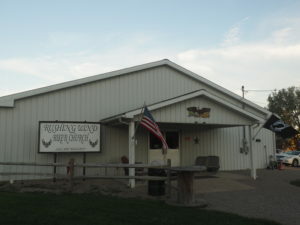 But in this case, the small—but loyal—community that gathers just south of highway 32 near Peebles every Friday and Saturday night, during the summer and early fall, need no directions. This is a dirt track race, and much like a NASCAR race, fans have their favorite drivers, whom they support by waving signs and wearing t-shirts bearing the driver’s number. The men and women yell in excitement and curse with frustration as the cars speed on late into the night until the final race is over. 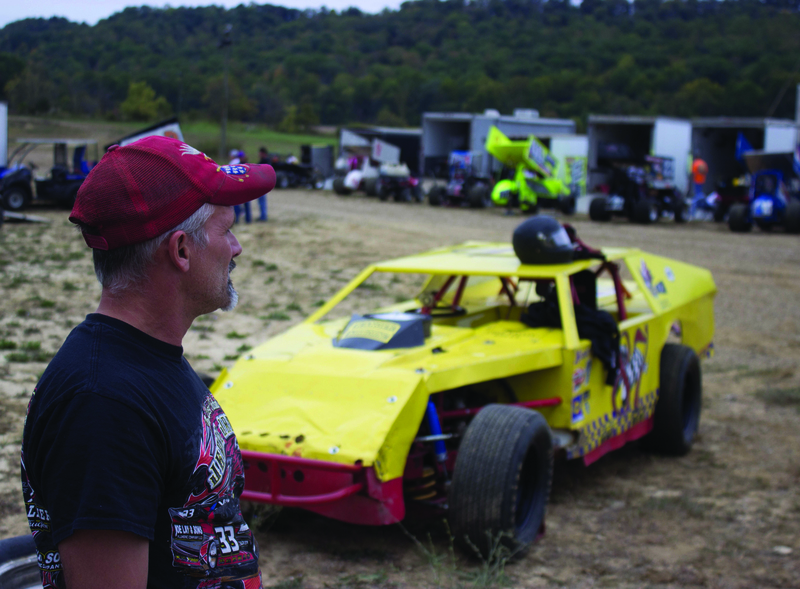 This is Brushcreek Motorsports Complex and it’s driven by tradition, passion and sheer energy. Going into its 15th year, Brushcreek is a well-oiled machine, much like the cars that race on its 3/10 of a mile track. And similar to how a racecar’s parts must seamlessly work together to ensue optimal performance, Brushcreek demands a careful coordination between its employees and participants. On race nights, concession stand workers hand out tacos-in-a-bag (their bestselling item) and ice-cold Pepsi (their official sponsor). Tom Partin, who started the complex 15 years ago, takes care of the business financials and waters the track before racetime. His wife, Melissa, handles the tickets, guides the drivers and cars into the pit and ushers the audience into the track’s wooden bleachers that look like they’re straight out of a high school football stadium. But perhaps the most insightful route to this rural racetrack experience is through the key individuals of Brushcreek; in this case, promotor, Steven Partin, driver and army veteran, Glenn East, and 11-year-old driver, Harrison Hall. Prior to start time, every night at 6:30, all drivers must gather for a meeting about the night’s rules and regulations. This is when everyone’s gaze focuses on Tom and Melissa’s son, Steven, who has been the sight’s promotor since he was 14. Standing high on a rock that sits in front of one of the concession stands, the 18-year-old gives the orders for the rest of the evening. Drivers listen intently to be sure they correctly hear the times of their events. The night’s races follow a schedule, so the spectators know when to expect the different classes of cars. At Brushcreek, there are five different classes of cars typically raced: modified, sport modified, sprint, mini-sprint and legend. Modified cars are the largest, engine-wise; sport modifieds are the next step below; sprint cars are the fastest and most recognizable by their wing-like side features; and legend cars are built to resemble automobiles from the 1930s. These days, anywhere between 200 and 300 people might hear Partin’s race night commentary, and he doesn’t disappoint. As the cars come around the turns, Partin yells with enthusiasm-soaked metaphors that bring the crowd to its feet. 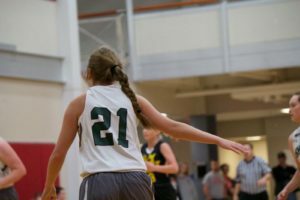 And when Partin is firing on all cylinders, that is when Brushcreek is at its best. Partin is just 18 years old, yet he is schooled in race promoting and marketing which means it’s only going to keep getting better. He often works with other local racetrack promoters to create events that could bring in spectators for everyone. Although Brushcreek is much smaller in size and attendance than the other tracks, Partin sees it as something that makes Brushcreek distinct. Under the brim of a worn, red hat that features a bald eagle holding an American flag in its talons, is a pair of eyes that have seen life’s losses. These eyes, the ones that witnessed the first hours of the 9/11 attacks at Ground Zero and months later saw best friends die in Afghanistan, belong to Glenn East. For nearly half of his life—1987-2011—East was enlisted in the military. If asked, he’ll proudly recite the exact time that he served his country; 23 years, 8 months and 22 days. At the time of his retirement, East was listed as Sgt. First Class. 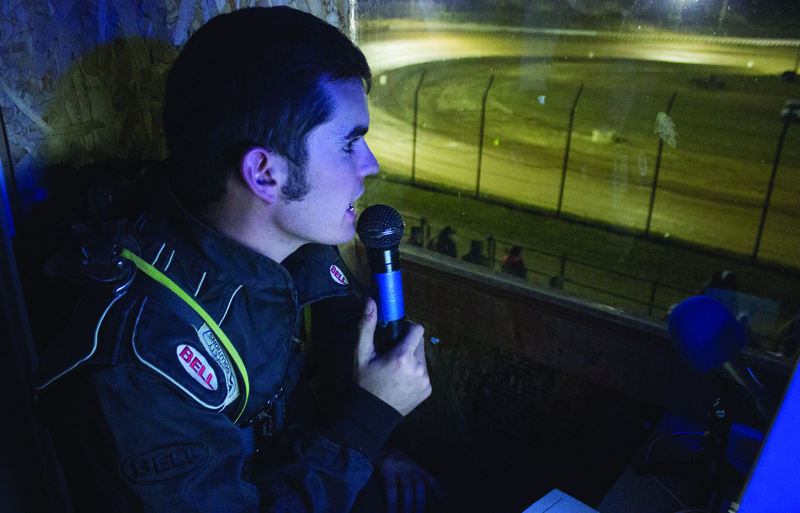 Now, four years into his civilian life, East finds serenity in dirt track racing at Brushcreek. “For me, it’s a stress reliever. I really love it and look forward to it every weekend,” East says, as he checks his car’s valves before a race. Each of the decals covering East’s modified car tell stories about his life. There’s the sticker that shows the silhouette of a man with the words “Free Fallin’” under him, symbolizing the 850 foot fall that East encountered after his primary and backup parachutes didn’t deploy during a jump. There’s a decal on the car’s back that lists all 15 members of his family and extended family who have served in the military. Beneath the names is a decal showing a group of soldiers hoisting an American flag against the backdrop of a sunrise over the ocean’s horizon. The number 87 decals on both sides of his car represent the year that he—at 18 years old—joined the military. With his head back in tonight’s race, East sips a Mountain Dew under the stadium lights that shine bright off his POW patch on the left shoulder of his race suit. He watches as his car gets fine-tuned for the feature race later in the night. For East, Brushcreek’s weekly races are a family affair, much akin to military service. His daughter, Acacia and his son, Thomas are there every week to help with the car, along with his cousin Ray—who had the car waiting for him when he retired in 2011. His wife of 25 years, Velora East, sits on a hill that overlooks the track to watch him compete. This summer, with the help of his family, East took control of the lead at Brushcreek in his respective class, only to finish second because of a crash in the final race. Winning isn’t everything to him, however, it’s about fun. The big boys that he refers to are the racers that bring in trailers that have as much money put into them as East does into his car. They often have two levels that can transport two cars at once; a stark contrast to the small, raggedy trailer that East hauls around. Although he turns 50 years old in a few years, he says he has much more drive left in him before he retires. In fact, East says he’s in it for the long haul. 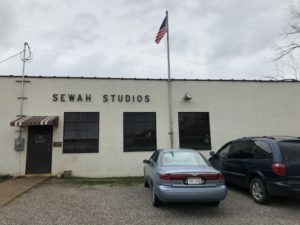 About 100 feet away from where East and his family have parked their cars, a brown-haired boy wanders around, at the moment more intrigued by his Green Apple flavored Blowpop than racing. 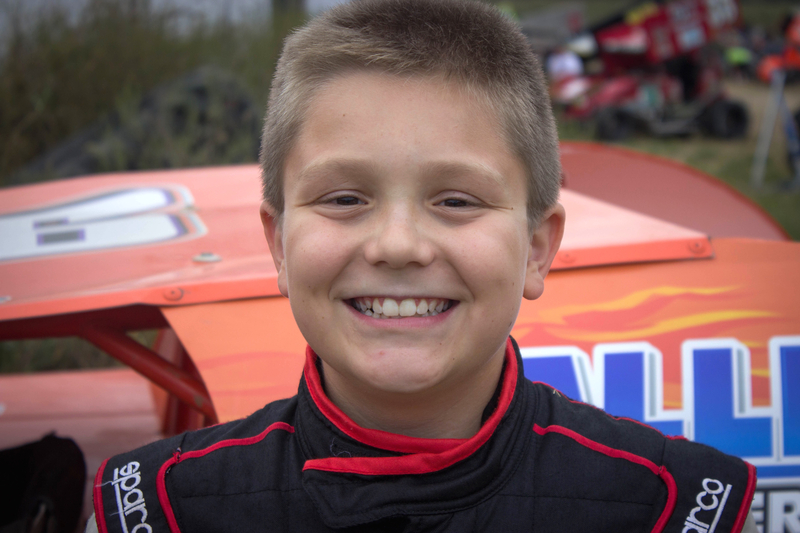 The lollipop-toting 11-year-old is Harrison Hall, a fifth grader from Circleville, who has over 7,000 likes on a Facebook page dedicated to his racing. Hall is hardly a novelty act; in fact, he’s a mini-celebrity. He has been a boy amongst men since he was eight years old, when he started racing go-karts and won nine out of the 12 races he entered. He has since moved to the “sport modified” and “modified” classes, increasingly showing his prowess on the dirt tracks. And when it’s race time, Hall switches off the childlike attitude and focuses on one thing: speed. “I love going fast. It’s like sliding on ice, I love it,” Hall says with a smile. What makes Hall so special is not the mere fact that he is racing—and winning—at such a young age, it’s what he does with his winnings. Every dollar Hall earns here is donated toward the Children’s Dream Racer foundation, which provides small NASCAR simulators for children going through cancer and dialysis treatment. The machines Hall funds are Dream Racers, equipped with an IV pole and a flat screen TV so the kids can play games and pretend to be a driver during the medical procedure. 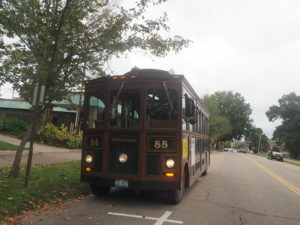 The simulators cost approximately $9,500, and the ones from Hall are painted orange with the number 99 on both sides, resembling the car that Hall drives at Brushcreek. If one pokes around Brushcreek’s website, they’ll see an advertisement that lists the complex for sale, with an asking price of nearly a half a million dollars. However, it doesn’t mean that the track is going under or is facing any money woes; rather, the family likes to keep options open. The Partins have plenty of financial stability through their six other family businesses, so the listing for Brushcreek is merely an indicator of their passion for the complex’s possibility. Partin announces the last race of the night, then fits himself into his small, red and white legend car with the number 10 on each side. A few minutes later, he’s through the finish and exhausted, but nothing less than satisfied. 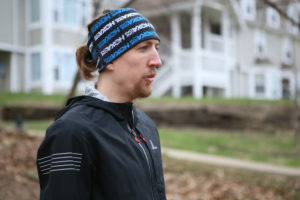 “I just enjoy good racing and seeing fans have a good time,” Partin says. As 1 a.m. approaches, Partin is the last inside the stadium. As he turns out the lights, his mind shifts to the upcoming week, when he will repeat his Brushcreek work schedule; the same routine that his father started 15 years ago, and the one Steven Partin now loves himself.